The colors in this picture don’t show the greens to be green or the blues to be blue, but it is done. 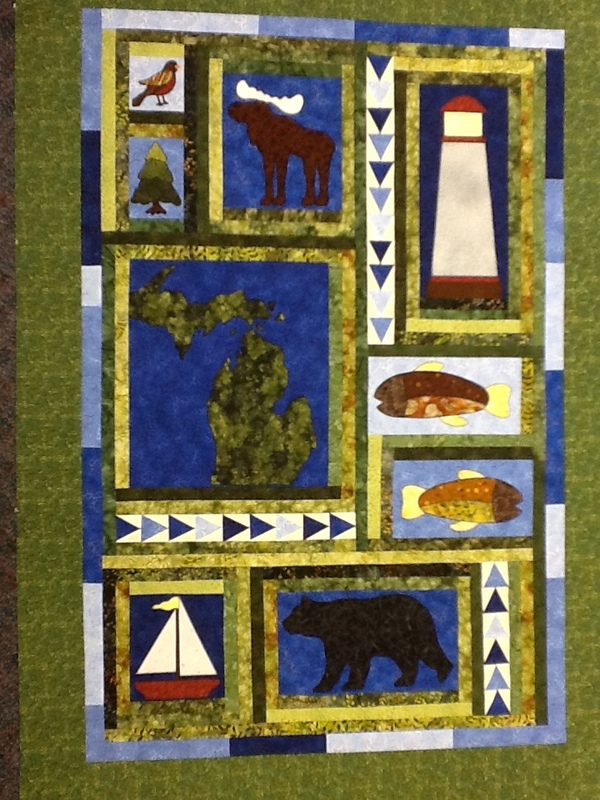 Here’s the quilt top so far, will be quilted next week. This was the quick version. It was fused and machine button hole stitched. Then to finish it up was simple log cabin logs around the blocks. This picture doesn’t show the greens to be as green as they really are and the blues as blue but it is done.